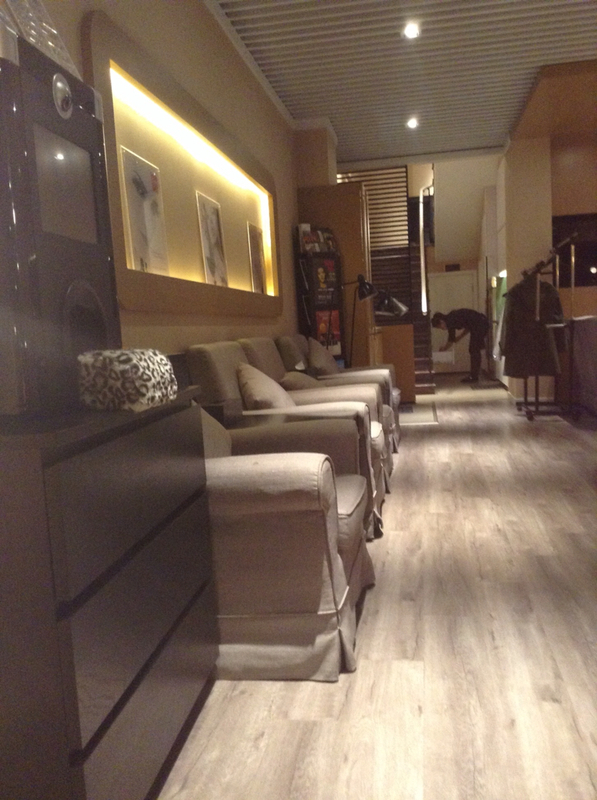 After living here in Shanghai for three years, I have finally found a nail salon that is clean, has a warm and cozy ambiance, service that is fast and efficient, and relatively inexpensive. The excellent service begins with a smile from the receptionist as you walk through the door. Then, a cup of green tea, red tea or coffee is offered as you are ushered to a comfy armchair with equally comfy pillows. As you browse the OPI colors, the women quickly prepare a foot soak and bring you your chosen beverage in a real mug! This may not seem like a big deal, but trust me; the ceramic handle comes in handy when your nails are wet but you're jonesin' for a sip of tea. The flimsy paper cups that other places have just don't cut it. Their warm hospitality continues as two women work side by side to give you a thorough, but fast manicure and pedicure. I really appreciate this since I don't find two hour mani/pedis to be relaxing, and in the past, I have left other nail salons feeling annoyed. It brings me great joy to know I can get in and out with beautiful nails in less than 45 minutes. Their technique is top notch, they clean my cuticles without making me bleed, and they protect my nails with a Chinese shellac of sorts that protects my polish for about 8 days without any signs of chipping. I wish I knew what their secret top coat is, because it's amazing. Lastly, they accept international cards (hello airline miles) and always offer to book my next appointment before I leave. They actually smile as they say goodbye, and I smile too, happy to know about places like Helen's; places that put an extra pep in my Shanghai step. Check them out! No. 652 Long Weihai Road in Shanghai.